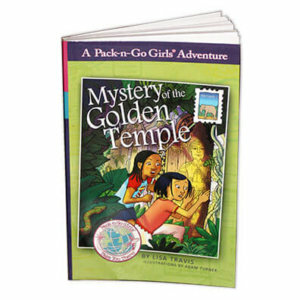 Two years ago I read and reviewed Mystery of the Golden Temple, a Pack-n-Go girls book set in Thailand. 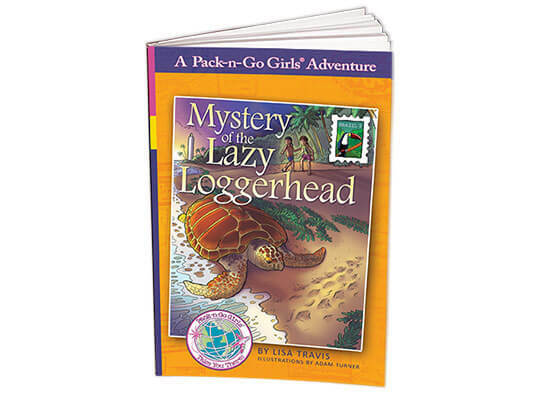 This year I was delighted to receive Mystery of the Lazy Loggerhead, the second book in the Brazil series (I received this book in return for an honest review. All thoughts are my own). 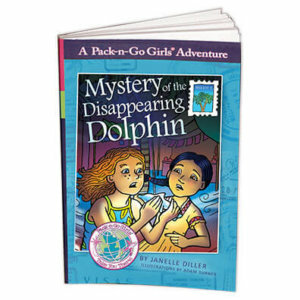 In this book, new friends Sofia and Júlia have finally reached the beach and Brazil’s Pacific coast. 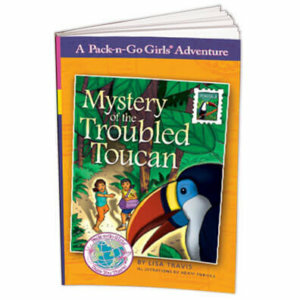 Sofia is able to use her Florida background in sea turtle ecology when the girls face a new puzzle. Some of the main reasons I really like this series: Short, quick paced mysteries that draw the reader in almost immediately; familiar, repeated formula (one country, two girls, one mystery) helps readers jump easily from one book in the series to another; the stories include a girl traveling from the US (allowing the reader to place him/herself into the story) but also include a native resident to help get beyond just a “tourist” view of the country and culture; each book includes extension activities: country facts, recipe, language phrases, even a journal section! In addition, teachers and parents can sign up to receive free sample activities here or you can purchase a 40+ page resource and activity guide to accompany each country. I got a chance to browse the Brazil PDF, and it was crammed full of activity pages, secret codes, math problems, and more!